A stalwart and a top financier of the Liberal Party are facing criminal charges for allegedly using fake documents to dupe the government and their business partners of billions of pesos in mining revenues. This information was shared by Paula Defensor Knack, who claims to be the sister of late senator Miriam Defensor Santiago. The mentioned politicians are Caloocan City Rep. Edgar Erice and LP financier Patrick Angelo “Eric” Gutierrez. 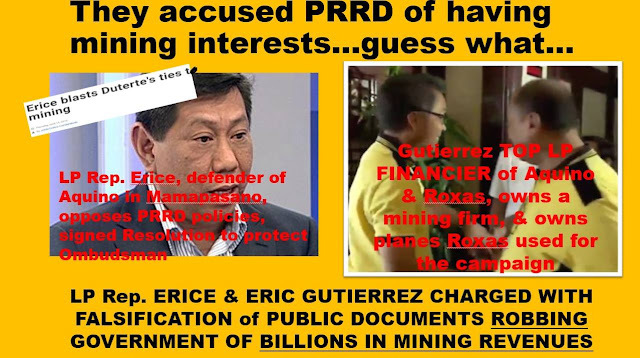 Both are charged with the offense of falsification of public documents, which they allegedly used to cart away P2.8 billion in revenues from unauthorized operations of their mining firm SR Metals Inc. According to Knack, the complaint was filed by a Rodney Basiana, a small-scale miner from Agusan del Norte. The respondents of his complaint are Erice, Gutierrez, John Anthony Gutierrez, Miguel Alberto Gutierrez, Alejandro Basalio and Antonio Dimabayu before the Surigao City prosecutor’s office. The complaint is now in the Department of Justice. "Basiana accused the respondents, who were all officers and members of the SR Metals board in 2005, of making it appear that their corporation was the holder of mining claims over an 81-hectare area in Tubay, Agusan del Norte." 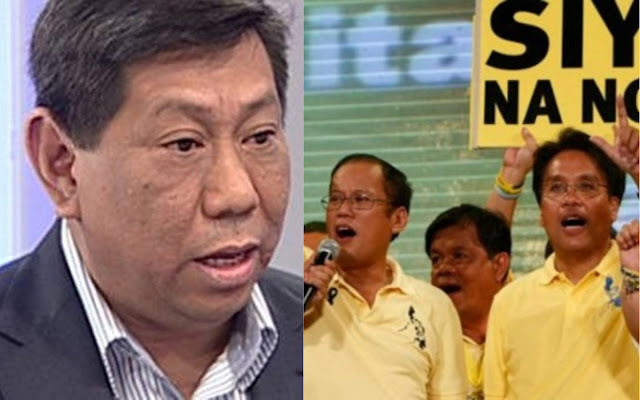 It can be recalled that Erice blasted Duterte on April of 2016, while the President was just a candidate, of being tied illegally with businessmen in the mining industry. On February of the same year, Duterte accused Liberal Party (LP) presidential candidate Manuel “Mar” Roxas of protecting the business interests of Eric Gutierrez, owner of SR Metals Inc. (SRMI) which is based in Tubay, Agusan del Sur.